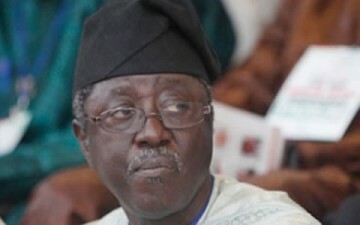 Nineteen out of the nation’s 36 governors were absent when Plateau State Governor, Jonah Jang-led faction of the Nigeria Governors’ Forum opened its secretariat in Abuja on Thursday. The secretariat is located at Nana Close, Maitama. Signs that things were not going to work well started manifesting when words went round that Vice President Namadi Sambo, who was supposed to be the guest of honour at the event, would not come and did not send any representatives. The acting Sole Administrator of the faction’s secretariat, Mr. Osaro Onaiwu, had told our correspondent on Tuesday that the vice president would inaugurate the secretariat. 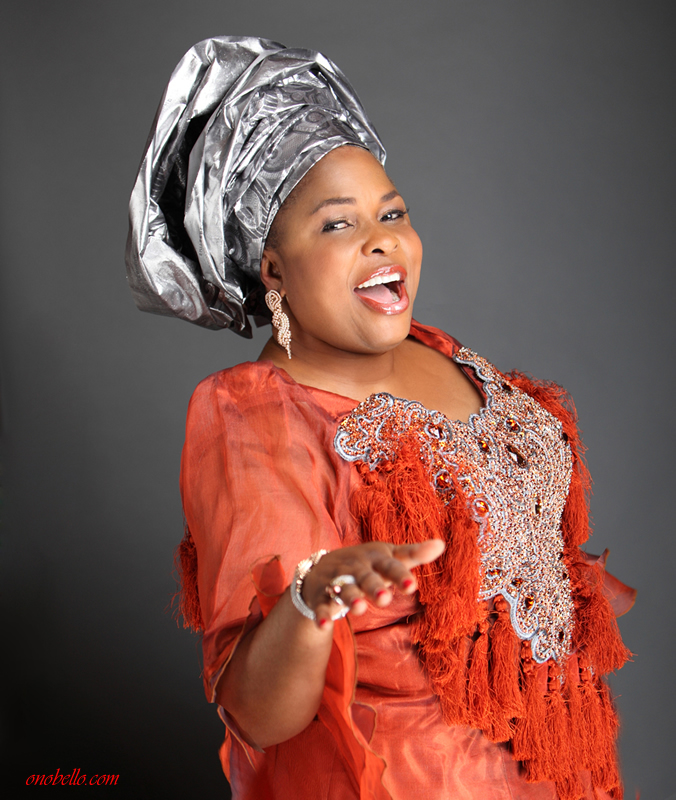 The first lady,Dame Patience Jonathan, yesterday, said she had no hand in the suspension of the governor of Rivers State, Rotimi Amaechi from the Peoples Democratic Party, PDP. In a statement, the Senior Special Assistant to the First Lady on Media and Publicity, Ayo Osinlu said the allegation was “not only dubious, but also diversionary, unfair, unkind, and therefore totally unacceptable”. According to him, Mrs. Jonathan was not an official of the PDP and as such could not have led ‘the elders of the party by the nose’ to take such a decision. 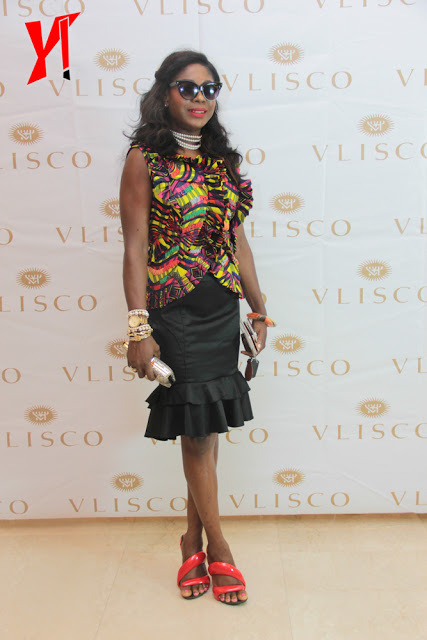 Vlisco Hommage a l’art Fashion show held at Four Points by Sheraton, Lagos on the 26th of May, 2013. And this was Susan's outfit to the event. The rumors of a new “American Idol” judges panel are proving to be true! Now, Mariah Carey’s team has confirmed that the singer will not return to the FOX TV show next year. “W/ global success of “#Beautiful” (#1 in 30+ countries so far) @MariahCarey confirms world tour & says goodbye 2 Idol,” her PR firm said via Twitter. 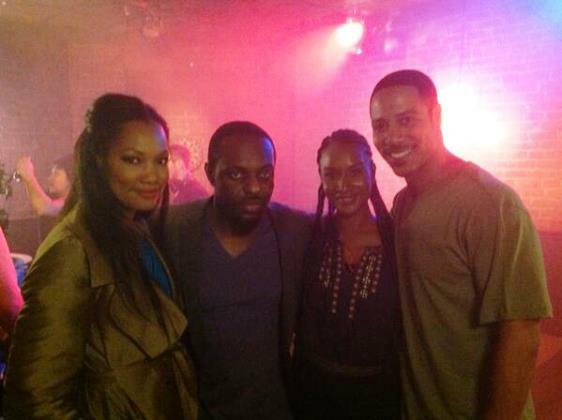 Jim Iyke on set of a movie in Santa Monica, California with Hollywood actors Garcelle Beauvais and Brian White. 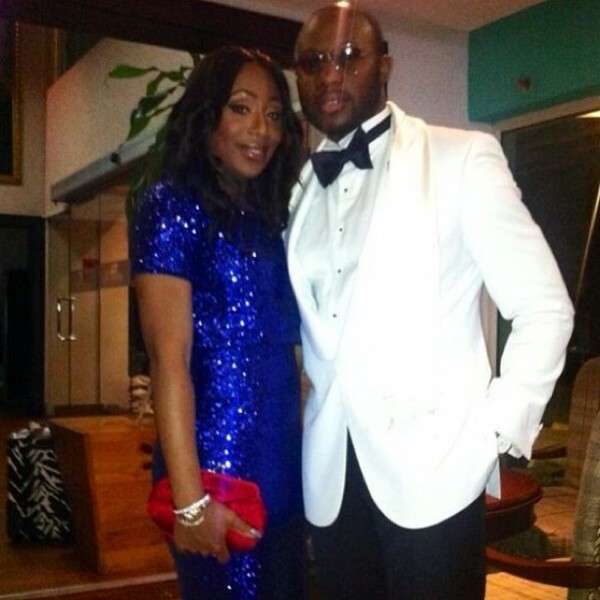 More pics after the cut..
Music artiste, Okechukwu Justice Martins a.k.a J. martins got married to his hearthrob,Nnezi Mbila today in Lagos. 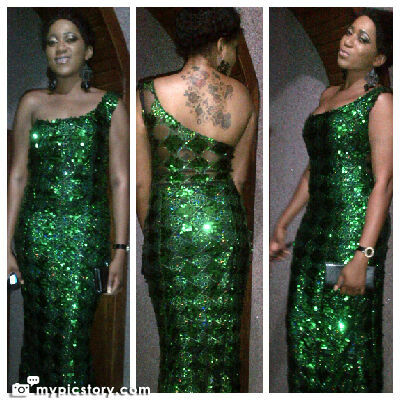 Nnezi is a abuja based banker and she is reportedly 4 months pregnant. 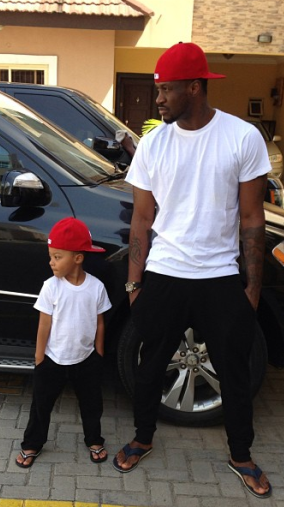 He is pictures with Ubi franklin , Iyanya's manager at the event today. Never give up your dreams, See Iceprince head. Cute, like RiRi style and her lips. The actress had a breakfast with the president recently.  Former Chelsea Interim Manager Joins Napoli. Born on wednesday 27th of May 1965. Wishing him more fruitful years ahead. She's 40 and one of the sexiest women. 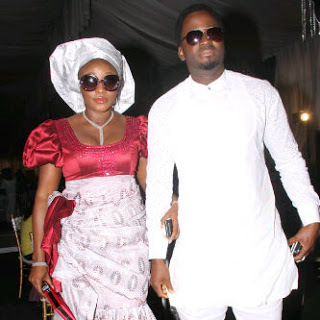 Toolz Oniru claims she is still a virgin! She had a Question and Answer session with her fans on twitter few hours ago and when a fan asked if she was a virgin, she tweeted that she was saving 'IT' for marriage. ONE of the world's fattest men has died at the age of 39 – weighing a staggering 64 stone (407 kg). Ricky Naputi piled on the pounds thanks to a gut-busting diet of 10,000 calories a day. He grew so fat he was left bedridden in his home on the Pacific island of Guam for FIVE YEARS – being cared for around the clock by his wife Cheryl. 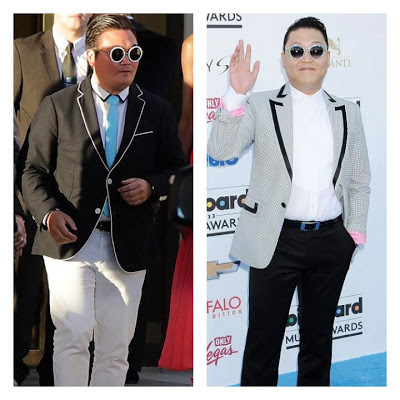 Ricky was offered life-saving surgery and a TV crew from US network TLC who followed him for three years as he battled to lose enough weight to travel to a hospital in the US. Some suspected hoodlums on Thursday, killed two policemen and injured unspecified number of residents in Imowo Nla community in Ikorodu, Lagos State. One of the policemen, named Ikpi Ikpi, an inspector, was said to have been ambushed in the early hours of Wednesday. An eyewitness, who craved anonymity, said Ikpi and some of his men were going for a raid in company with some residents when he met his untimely death. The eyewitness said, “It was around 4am on Wednesday when Ikpi went for a raid in the community. But unknown to him, some hoodlums from Ikorodu had laid siege to the community. 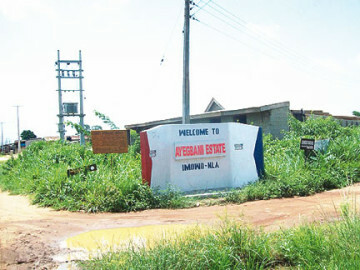 He said the other policeman, who died on Thursday, was cut with machete on Tuesday, when the hoodlums numbering over 100 first invaded the community. A 23-year-old Lebanese, who was arrested for kidnapping his 61-year-old aunty, told journalists on Thursday that he committed the crime to punish her. The suspect, Mohammed Dannawi, said he kidnapped the victim, Alhaja Essa Dannawi, not because of money but because she offended him and his wife. He said he carried out the evil act with a former employee of his aunt, Obi Kwentua, to whom he gave the spare key to her house. He said, “My aunty did something very bad to my wife and I and so I decided to punish her. I met with Obi (Kwentua) and told him that I wanted my aunty kidnapped. I gave him the spare key to her house and he in turn hired some boys to do the work. The National Assembly has conferred more powers on President Goodluck Jonathan to administer the three states of Adamawa, Borno and Yobe, where he declared a state of emergency last week. Under the new dispensation, governors and local government chairmen in the three states of the North-east zone will henceforth take orders from the president. This was the resolve of the National Assembly yesterday as the two chambers of the legislature met to harmonise their positions on the request of the president, seeking approval for the declaration of state of emergency in Adamawa, Borno and Yobe States, which they had earlier ratified. The two chambers of the National Assembly on Tuesday had approved the presidential declaration but with some differences in terms of details of its implementation. However, the Action Congress of Nigeria (ACN) faulted the new powers conferred on the president and accused him of engaging in deceit by reneging on his promise not to allow the state of emergency to affect the operation of democratic structures in the affected states. 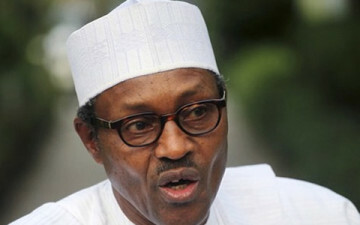 Former Head of State and Presidential candidate for the Congress for Progressive Change, Major-Gen. Mohammed Buhari (retd), and the National Leader of the Action Congress of Nigeria, Asiwaju Tinubu, will arrive Kagoro town, Kaura Local Government of Kaduna State on Saturday (tomorrow) for a seminar. 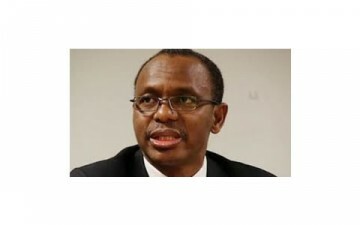 Former Federal Capital Territory minister, Mallam Nasir el-Rufai, on Thursday bemoaned the spate of unemployment in the country, saying despite his connections, he had yet to secure jobs for his two daughters, who are both holders of Masters Degrees. El-Rufai said this while delivering a lecture at the Sixth Annual Alao Aka-Bashorun Lecture, organised by the Nigerian Bar Association, Ikeja Branch. The former minister, whose lecture was entitled Impunity, Injustice and Insecurity: What Role for the Law,’ said Nigeria needed to create three million jobs yearly to tackle its employment problem. 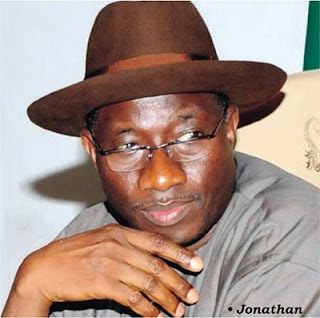 President Goodluck Jonathan on Thursday said the Federal Government and the Government of Ghana would collaborate to rebuild the St. Philip’s Central School, Ogidi, Anambra State, where the late Prof. Chinua Achebe had his primary education. Jonathan made the promise at the church service held for Achebe at Ogidi. However, the promise fell short of expectations from Achebe’s admirers that expected Jonathan to rename a public institution or a monument after the renowned author. 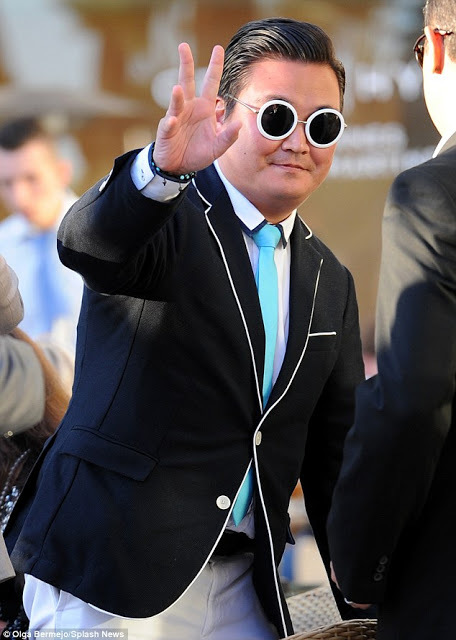 He was dresed up like the original Psy,walked like him and even waved like him..
Several celebrites even took pictures with him and posted on twitter because they felt they were with the real Psy . 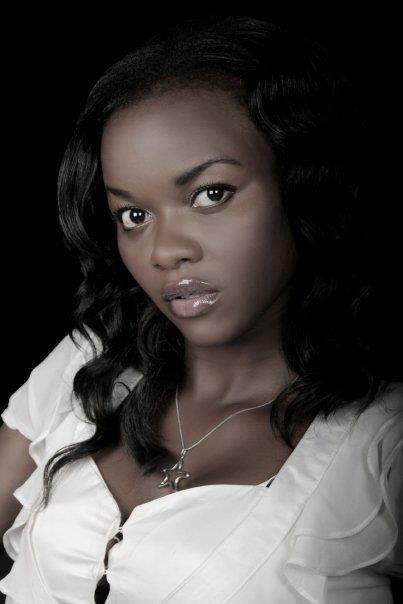 Beautiful Yoruba actress, Kehinde Bankole has every reason to be in a pensive mood right now. Dare devil armed robbers snatched her Honda accord (baby boy) car on Sunday May 12,2013. Coleen Rooney,wife of Man U striker,Wayne rooney, has given birth to another son this morning around 2 a.m. The little boy who they named Klay-anthony is the couple's second son after the first,Kai was born three year ago. Collen tweeted"At 2.11am our Beautiful Son .... Klay Anthony Rooney entered the world.He weighed 7Ib 11.1/2 oz We're all so happy and doing well. X." 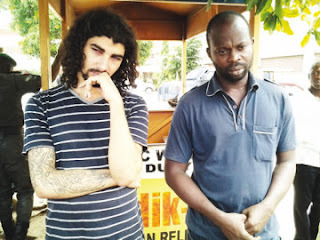 Two staff of Nigeria’s largest airline, Arik Air have been arrested at the Heathrow Airport in London for suspected drug trafficking on Tuesday. The Nigerian Drug Law Enforcement Agency disclosed that they had opened investigations after the Arik Airline workers were allegedly caught with cocaine in the Uk. 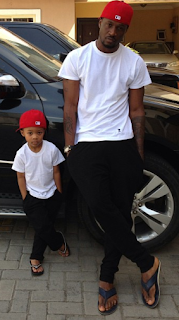 NDLEA spokesperson, Mitchell Ofoyeju said the allegations constituted a national embarrassment. 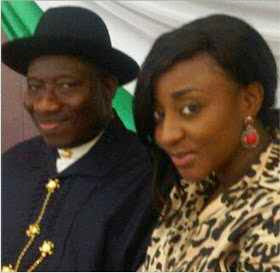 opened an investigation into the matter,” Ofoyeju said. 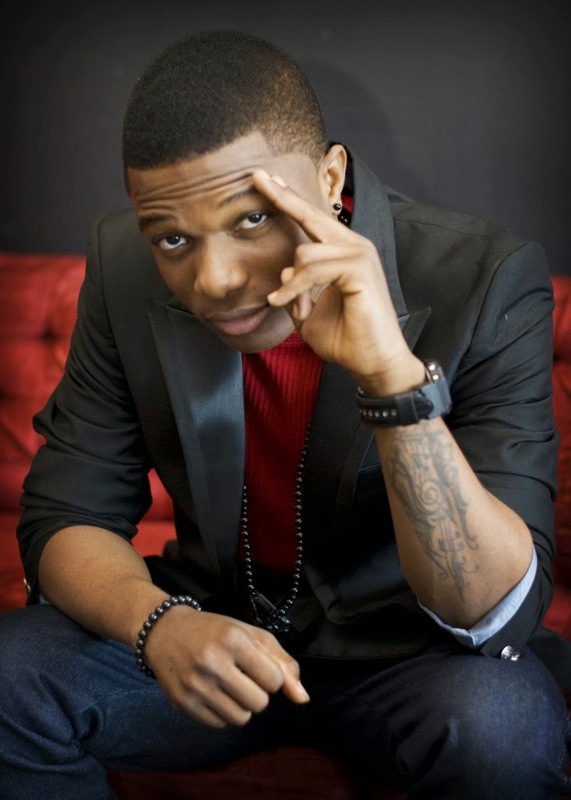 Banji Ola, Arik Air spokesperson said he was not aware of the incident or flight details. 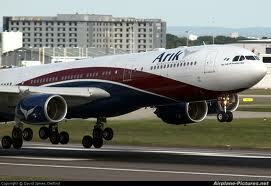 However, Arik Air image maker, Banji Ola said he was yet to be briefed on the matter. Ogbonnaya, was arrested at Heathrow Airport over allegation of drug smuggling into the United Kingdom and was thereafter sentenced to five and a half years imprisonment last year. President Goodluck Jonathan has thanked Nigerians for their support for the state of emergency declared last week in Borno, Yobe and Adamawa States. Senior Special Assistant to the President, Public Affairs, Dr. Doyin Okupe, made this known in a statement on Sunday. The statement read, “President Goodluck Jonathan has expressed gratitude to all Nigerians for the overwhelming support they have given to the declaration of state of emergency in Borno, Yobe and Adamawa states. The President also thanked the leadership of the National Assembly and many of its members, who have through calls and personal visitations, given solidarity and support for this extraordinary step taken by the President in order to halt the mindless killings, bombings and general insecurity that had prevailed in that part of the country. More than 2,000 Nigerians living in border villages in Borno State have reportedly fled as a result of the ongoing military operations targeted at routing insurgents from the area under the emergency rule. 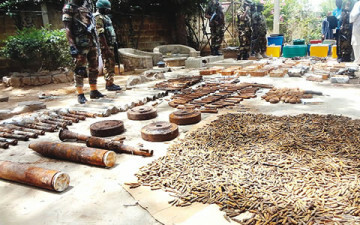 The fleeing villagers were said to have headed to the neighbouring Niger Republic. 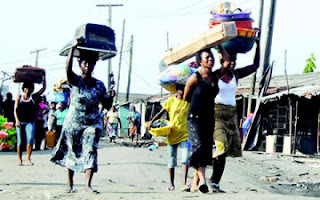 “Most of the residents of border villages of Borno have fled to Niger. About 2,000 people from Abadan, Malam Fatori and other villages are now refugees in Difa, Niger Republic,” a top security officer told one of our correspondents on Sunday. This is a very clear picture of the Ayiri Emami y'all have been hearing about...He is a warri oil mogul with lots of cash and he was the same guy that single handedly sponsored Tuface's Dubai wedding. ‘Father Moses’ is a story about various catholic families, having to do with governor of the state Jide kosoko & his son rascal Yomi Fabiyi. 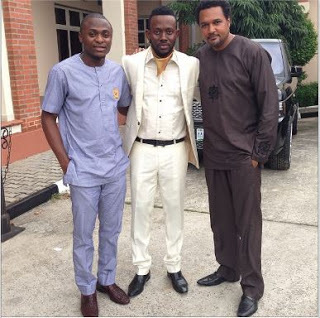 Desmond Elliot is Father Moses, who falls in love with Ini Edo “a girl from one of the catholic family. The love between them generated lots of conflicts. 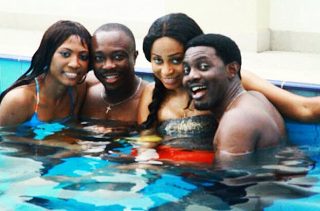 The movie which is produced by Yomi Fabiyi, starred Grade ‘A’ Nollywood Stars like: Desmond Elliot, Ini Edo, Jide Kosoko, Bimbo Akintola, Ayo Mogaji, Hafiz Oyetoro, Keji Yusuf,Buki Awoyemi " Kemi Afolabi, Yomi Fabiyi, Hakeem Rahman, Ara, Niyi Johnson, Tola Ayeni ( Agbelebu mi), Segun Adekoya (Chamelion), Remi Oshodi.Directed by Taiwo Oduala. 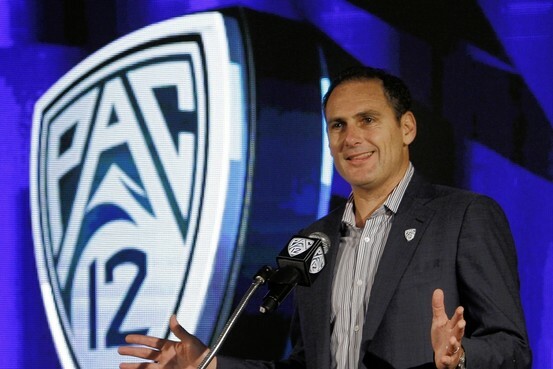 In his four years as commissioner, Larry Scott has transformed the sleepy Pacific-10 Conference into the big-business Pac-12, expanding the conference and quadrupling its annual television-rights revenue. Scott cashed in on his aggressive moves in 2011-12, earning more than $3 million, according to tax documents released by the conference Sunday. That appears to be the highest compensation ever for a sitting college commissioner. 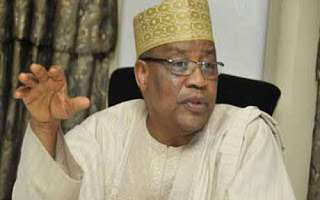 Gen. Babangida, who spoke on Kaduna-based radio programme Liberty Radio monitored by our correspondent, said two-party system was good for Nigeria. 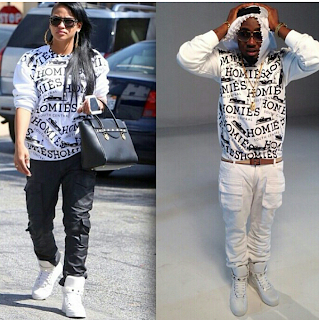 My Gosh, I just love this babe, Justin dey enjoy o lol. The British space industry is being given a boost with confirmation that Britain's first official astronaut is to take part in a mission on the International Space Station in 2015. Major Tim Peake has undergone 14 months of rigorous training, which has included survival courses and exercises under water and underground. Now almost three years after graduating as an astronaut, the 41-year-old former major and helicopter pilot in the British Army Air Corps has been selected to fly on a five-month mission on the international space station. Annie Idibia vs Kate Henshaw, Who Wore It Better?